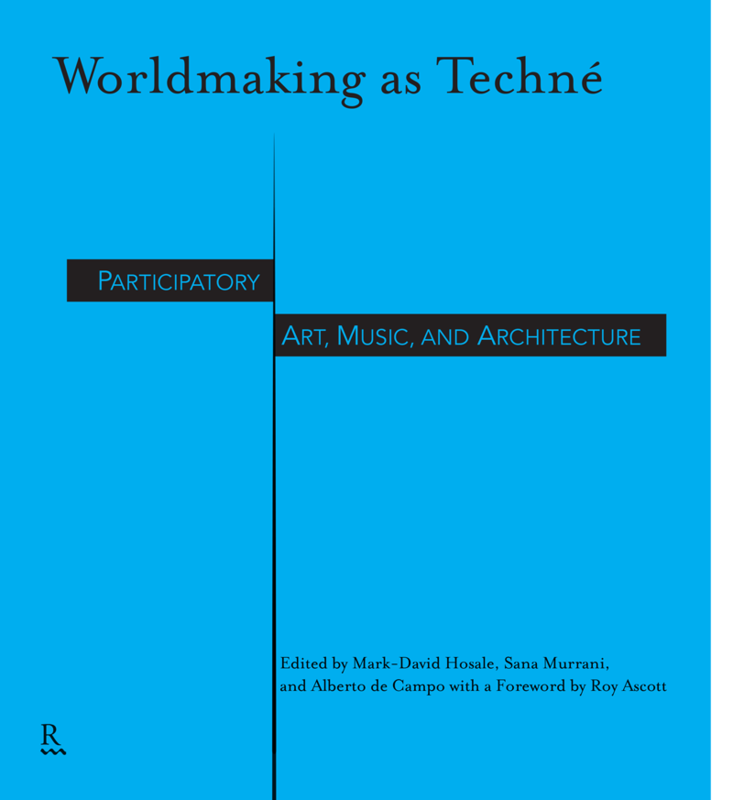 Worldmaking as Techné: Participatory Art, Music, and Architecture outlines a practice that challenges the World and how it could be through a kind of future-making, and/or other world making, by creating alternate realties as artworks that are simultaneously ontological propositions. In simplified terms the concept of techné is concerned with the art and craft of making. In particular a kind of practice that embodies the enactment of theoretical approach that helps determine the significance of the work, how it was made, and why. By positioning worldmaking as a kind of techné, we seek to create a discourse of art making as an enframing of the world that results in the expression of ontological propositions through the creation of art-worlds. The volume focuses on the involvement of the techné of worldmaking in participatory art practice. Such practice can be found in all areas of art, however, under scrutiny for this particular book are: interactive, generative, and prosthetic art, architecture, and music practices that depend for their vitality and development on the participation of their observers. The book is organized into three sections: po(i)etic, machinic, and cybernetic, which explore the aesthetics, systems, methods, and ontological underpinnings of a worldmaking based practice. Each section contains historical texts alongside new texts. The texts were carefully chosen to highlight the integration of theory and practice in their approach. While the foundation of this worldmaking is deeply philosophical and rigorous in its approach, there is a need to connect this work to the World of our everyday experience. As we contemplate issues of why we might want to make a world, we are confronted with the responsibilities of making the world as well.